There is so much that humanity does not know. The universe is huge, mostly dark, and ever expanding. H.P. Lovecraft is an author who obsessed over this main premise. The genre he is most closely associated with, cosmic horror, dives deep into this fear of what is hidden from our species. Disturbing tales of aliens, dark cults and witchcraft, and terrifying monsters only barely describe his particular take on horror. Here are five of H.P. Lovecraft’s works that are an easy and exciting start for any aspiring fan. 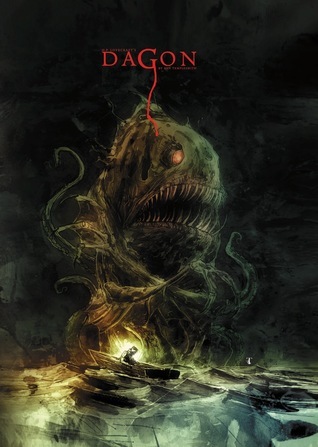 Dagon is told from the point of view of a sailor who has had enough of life and has gone mad. This first story may ease the reader into Lovecraft’s signature first-person style. He has a penchant for writing in-first person and Dagon is a prime example of how well Lovecraft puts us in the shoes of a man who has seen too much. After escaping a shipwreck, this sailor washes upon a strange marshy beach. His environment changes fast from floating on the ocean waves in a rowboat to a black, sludge covered, swamp. The poor man is a lone survivor and as he explores his new, alien surroundings, he reluctantly comes upon the most grotesque scene any man can see. This is a must read if you are interested at all in the Cthulhu Mythos. Coincidentally, it is also one of the very few stories in which Lovecraft accurately describes Cthulhu, the Great Old One. The story starts out with the narrator going over an ancestor’s belongings. He then finds a statue which is our first accurate glimpse at how the Old One looks and is now Cthulhu’s most commonly accepted visual depiction. The narrator then reads other notes and articles found in his ancestors leftover belongings. One is about a cult and their mass killings. Another seems like an eerie callback to the events of Dagon. The last helps give us an in depth description of a hidden city underneath the waves; home to a being humanity can only hope to comprehend. A person’s family history may be very interesting. Such is the case in The Rats in the Walls. The main theme in this story is that of a dark family past, unknown to the current living heir. This time, the narrator is a part of a particular family. As he is the last living heir, the narrator buys his old ancestors mansion in the hopes of restoring it to its former glory. But many strange happenings and events plague the man. Even worse, the neighboring townsfolk despise him; merely for his family name. Lovecraft’s story holds heavy suspense when curious noises are heard each night and when the towns people lose more and more trust for the narrator and his dark ties. In this short story, we are reading the voice of an assistant to the macabre and deeply depraved Doctor Herbert West. West has been studying in various medical and otherwise scientific fields but the one premise that excited him the most and that would become his obsessive goal was that of reanimation. That is, bringing back the dead. As the chapters go on and more trials and tests are done on patients, Dr. West seems to be willing to give any cost to achieve his ungodly goal. Dead bodies go missing, men are turned blood starved abominations, severed heads talk- This story is sure to keep you up thinking about mortality. The Dunwich Horror is a personal favorite. The narrator goes over the history and ancestry of the small town of Dunwich; a town which is thought to be cursed and incredibly backwards. We are then introduced to the circumstances of Wilbur Whately’s birth and his family in particular. What follows is a tale that can be compared to as the birth of a potential antichrist, for Wilbur is not just a human child of the Whately family. He matures at an exponentially accelerated rate. His intelligence seems to be growing unnaturally fast. And his intentions are dark and morally depraved.